As you might know if you follow me on Instagram, I've been in the states for a few weeks. 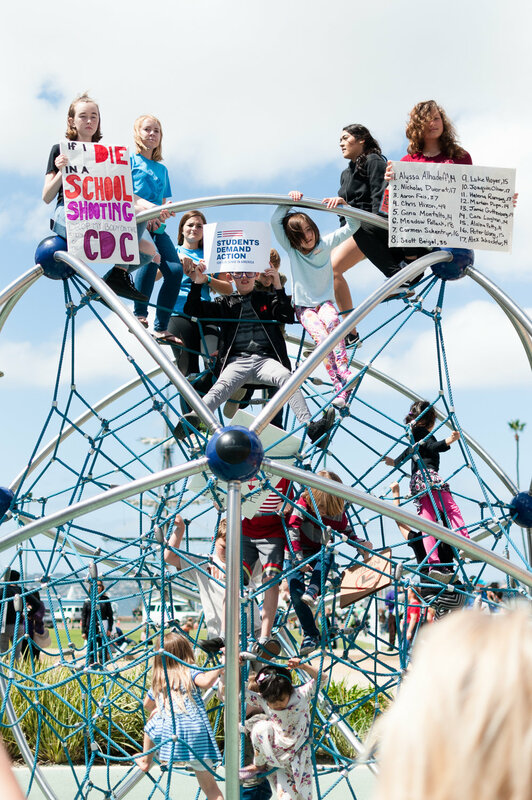 I was in San Diego during the time of the March For Our Lives demonstration, and had to be there to support this important movement and do my best to document it. Here are some of my thoughts and photographs from the day. 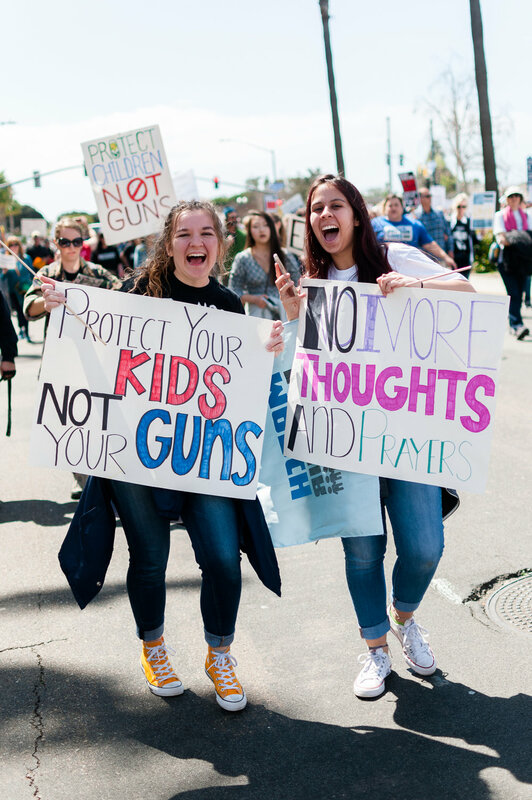 To find out more, sign to show your support for March For Our Lives or donate here. As a young person from the UK, I personally never went to school in fear of mass shootings or this kind of terror in my daily life. It’s easy from afar to be heartbroken about the loss of young lives when we hear about yet another US shooting, to be amazed that such outdated gun control laws are still in effect, to be horrified that anyone can get their hands on military weapons without comprehensive background checks (and from ages far less than you need to be to drive a vehicle or drink alcohol), and to be astonished that more hasn’t been done to finally put an end to this… but to actually be here in the midst of thousands of people who’s lives this literally affects every day, and as a fellow human being, I shared the anger and devastation that this has caused, and was privileged to be a part of this powerful global demonstration. 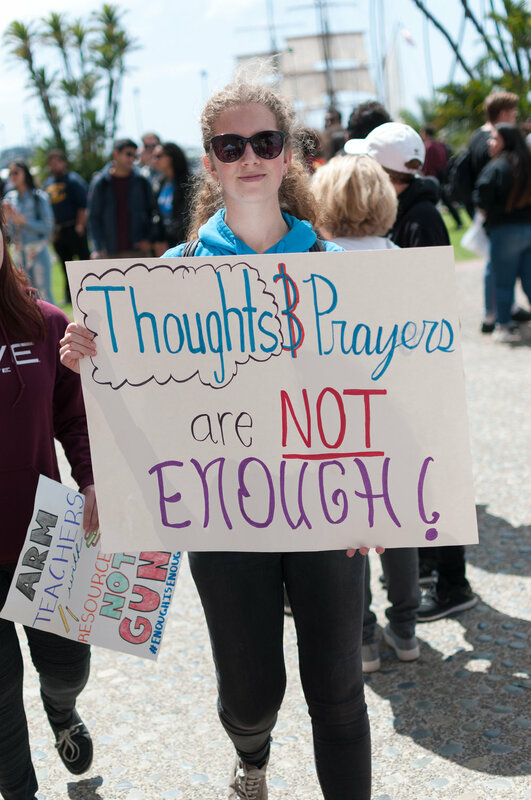 On Saturday 24th March, I heard such brave young children and teens speak out to the crowds for their right to an education free of the threat of open gun fire, about how their lives are more valuable than the right to bear firearms, about how it is time for this crazy law and culture to change, for school children, teachers and all citizens. It was also important that they brought close attention to the fact that these terrible crimes are called ‘shootings’ when white people are to blame, but ‘terrorism’ when a person of colour, and how so much still needs to change around how language is used when it comes to violence and racism. Beyond the placards and in the eyes of all who who listened, cheered, chanted and marched, I saw passion, determination, hope and solidarity. 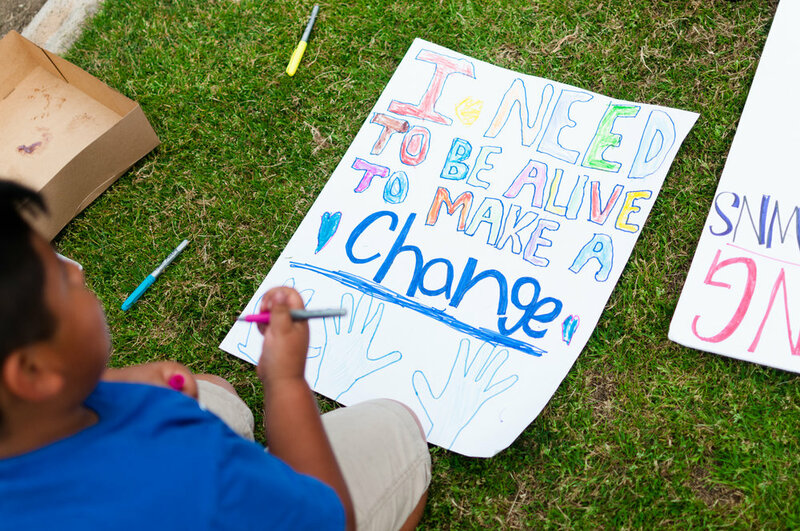 This generation inspires me, as they demand for change now. This was one of the most poignant moments... the message had been spoken, the march was complete and the crowds dispersed while many of us stayed to hear the following speeches... and these children sat high above us on climbing frames in the playground with their message in silence.